Hardwood floor repair in Atlanta is a much needed service, as there are so many of this type of floor in the city. Much of this stems from the days when the main residential areas were being built, as wood was the most plentiful and obvious material to use. It was relatively cheap, and produced the type of finish homeowners were looking for. Hardwood floors remain a popular choice in modern Atlanta building projects, despite the new competition from artificial flooring. With the current market remaining buoyant, there is sure to be a future for Atlanta hardwood floor repairs. Before you start thinking about hardwood floor repairs in Atlanta, it is worth considering your other options as well. Although it is obviously much cheaper to have a floor repaired than replaced, a repair may not necessarily be the best route to go. A brand new floor could add significantly to the value of your property, meaning that if you were likely to sell in the near future, you could expect to get a large percentage of your money back. Added to this of course is the fact that a repaired floor simply doesn’t look the same as a new one, and the fact that you may want to try out a different type of floor altogether. If you have considered the option of a brand new floor, but decided that a repair would suit you better, you need to contact a reputable and experienced company, such as FlooringAtlantaNow, who can carry out your Atlanta hardwood floor repairs. You could attempt your hardwood floor repair yourself, but only if you have the necessary and practical skills. You won’t need to own the repair equipment, as that can be sourced from local suppliers. You will need to have your own basic do-it-yourself tools, but if you don’t, it is highly unlikely that you would be up to tackling the job. If your hardwood floor repair is structural in nature, you will want to make sure your family’s safety comes first before any type of do-it-yourself solution is made. 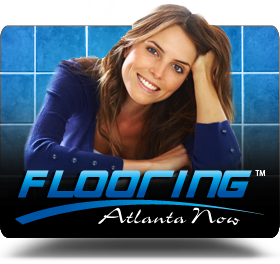 FlooringAtlantaNow has the flooring structural knowledge and expertise your home, and your family needs. Don’t attempt any do-it-yourself shortcuts here, as it could prove to be dangerous to you, your family or your house guests. A hardwood floor repair in Atlanta should be carried out by a highly skilled professional. When you are looking for someone to carry out this important task, contact FlooringAtlantaNow to have your hardwood floor repairs professionally completed. Peace of mind and safety are priceless when it comes to your family, your friends and your home. 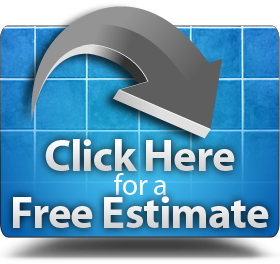 When it comes to hardwood floor repair in Atlanta, you need to make a wise and informed choice as to who does this important work for you and your home. Bring in the highly skilled hardwood floor repair experts at FlooringAtlantaNow and know you’ll get the job done correctly and professionally! If you have any questions, or need additional information about our professional hardwood floor repair services in the Atlanta, Georgia area, please Click Here for a no obligation estimate, or give us a call at: (404) 201-2513.